Are you interested in items from the GreenEarthSupplies shop but want to see, feel, fold and run through the printer before purchasing a large quantity? This is the perfect option! If you'd like a sample of anything on the restricted list, send me a message with the requested items and your zip code (or country if outside the US) and I'll be happy to give you a quote on cost/shipping. Otherwise, all sample packs are sent via letter rate (without tracking) as standard. If you'd like tracking or priority shipping options, you'll be able to select at checkout. Thanks for considering an eco-friendly option! Excellent way to sample paper available - and who can't use an extra envelope or two. Sent quickly, too. May thanks! 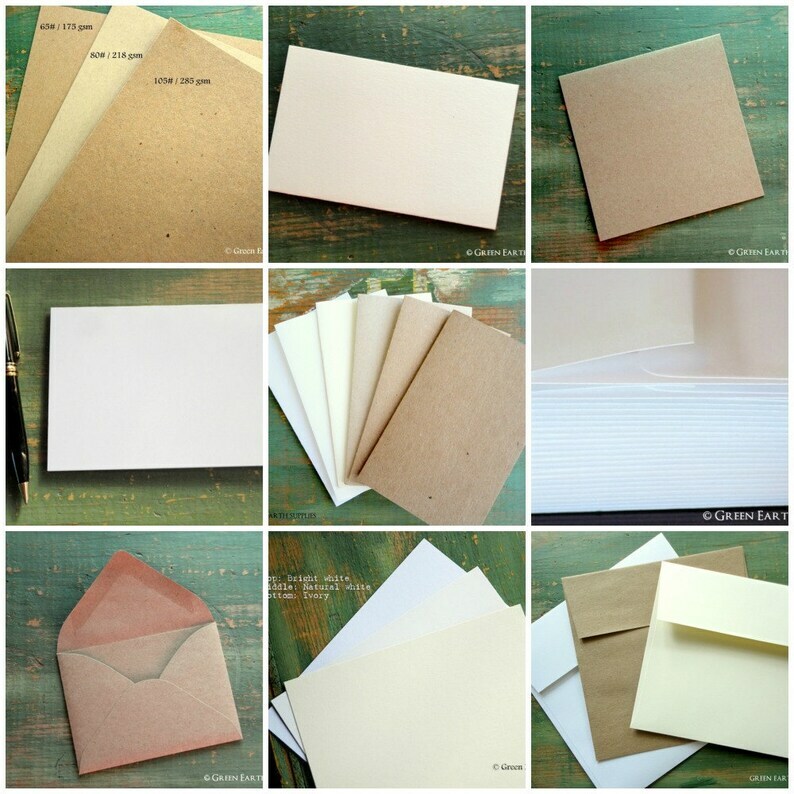 25 Rustic, Eco Friendly A1 Pointed Flap Kraft Brown Envelopes Only for RSVP/Thank You Cards/Announcements, Recycled, 4 Bar, 3 5/8" x 5 1/8"